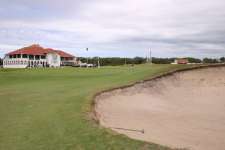 The Humewood Golf Club was born in 1929 when members of the Port Elizabeth Golf Club approached Colonel S.V. Hotchkin to design a second golf course for their town. 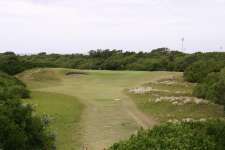 The proposed site for the new layout was a compact tract of coastal land adjacent to Algoa Bay, a famously windy coast that had, over the years, receded to present golfers with a perfect linkscape full of bumps, humps, ripples and swales. Africa’s only true links, Humewood has a very traditional feel with a distinguished set of holes that you will almost swear were transplanted straight from the British Isles. Hotchkin’s holes are primarily oriented east and west and either play directly into or against the fierce offshore winds that lash the bay. 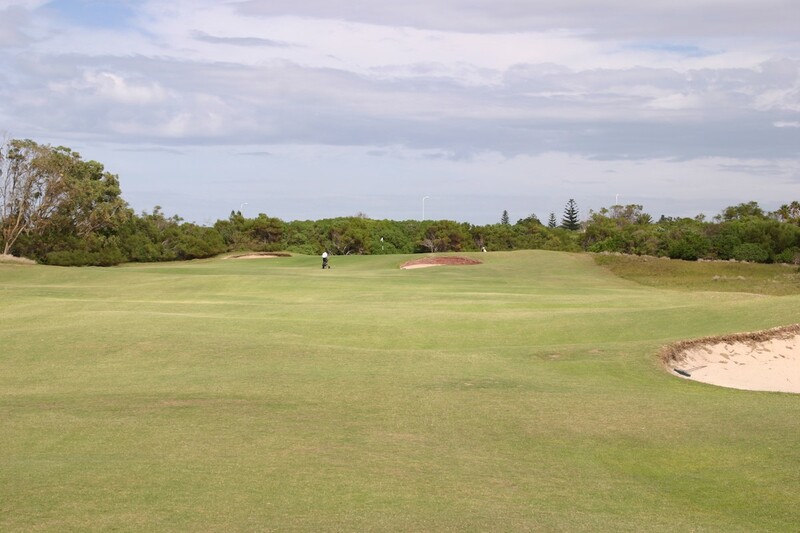 Lined by thick coastal shrub and underbrush the fairways are reasonably generous but feel quite tight, while the bunkering is a mix of deep revetted greenside traps and softer, simpler shapes through the fairway. 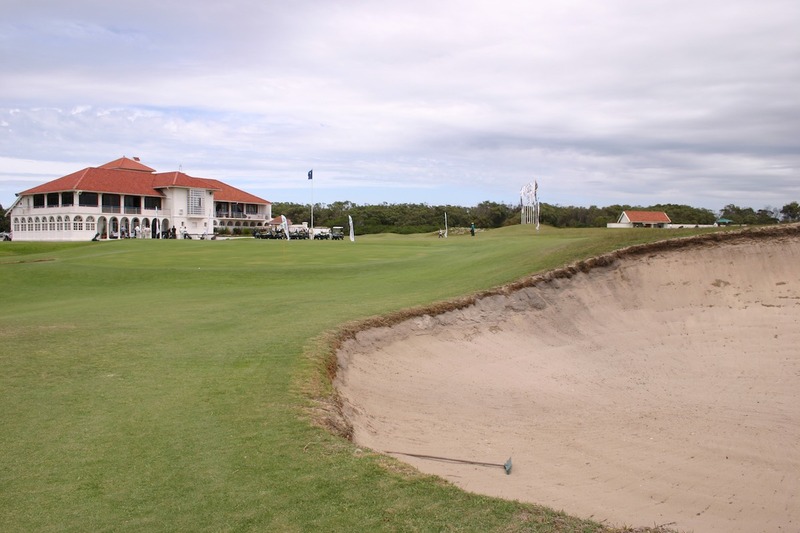 Wind, indeed, is a key feature of the challenge at Humewood and although the prevailing westerly typically helps on each of the par fives, it hurts on all four of the long par fours. The course starts with a series of understated but clever links moments before reaching the first of its two classics, the par three 6th, which is one of Africa’s finest holes. Often little more than a wedge it plays across the wind to a narrow crowned green that falls sharply and is heavily trapped on all sides. The other short holes are also very good, as are the birdieable par fives, but the remaining highlight is undoubtedly the long two-shot 13th, which generally plays into the westerly and features a dramatic, almost lunar, landscape not dissimilar to that at Royal St. George’s. 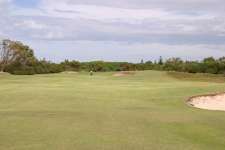 Like a number of holes on the back nine you will struggle to find flat lies on this fairway, the approach usually played with a wood or long-iron across a climbing, corrugated fairway and into a terrific tabletop target resting beyond a large mound. Other attractions of the course include difficult tee shots on the 4th, 7th and 11th, the short but hidden par four 16th, a charming plateau green on the 5th and the classic obscured approach over a series of small ridges into the 10th green. The generous but bumpy opening hole is also very good while the heavily undulating finishing hole, set in the shadows of the elegant Colonial style clubhouse, is a splendid close to the round. 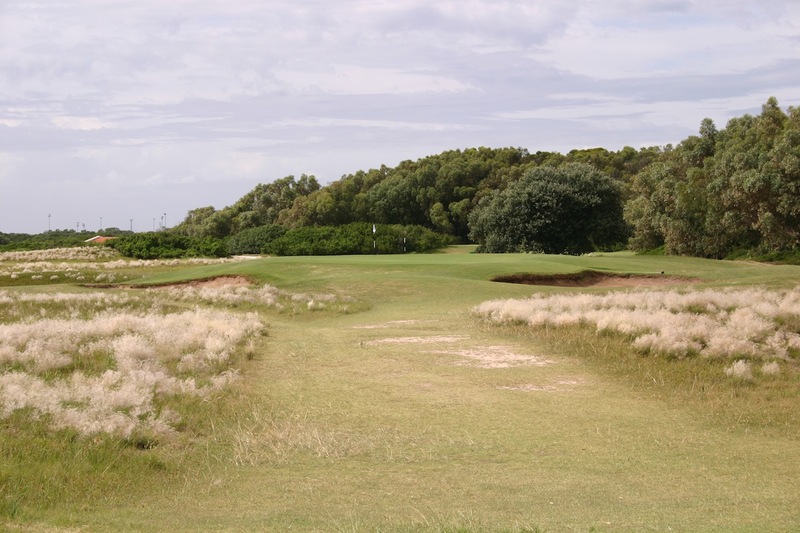 As genuine as links golf outside Britain gets and a superb test of your golfing capabilities, Humewood does not come highly recommended simply because it is a links but because it is a fine links and the continent of Africa hurts for good golf. 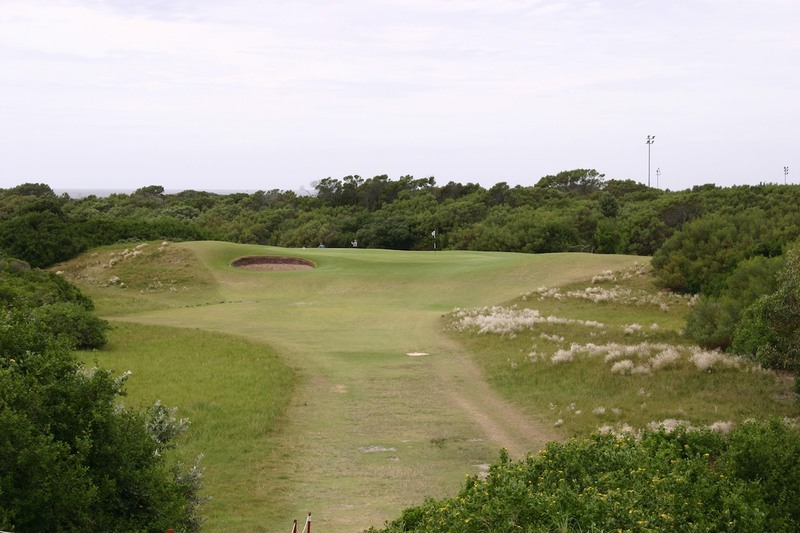 Were it in Britain it would probably not rate as high as it does here but this is a rare jewel in South Africa and ought to be one of the first courses confirmed on the golf itinerary for anyone making the trip to this intriguing country.